View this poster and ideas for commemorating world social work day (Available in multiple languages). About: Social Work Day at the United Nations is supported by the IFSW, IASSW, ICSW and other international bodies - which also mount and support events during Social Work Month) and World Social Work Day. 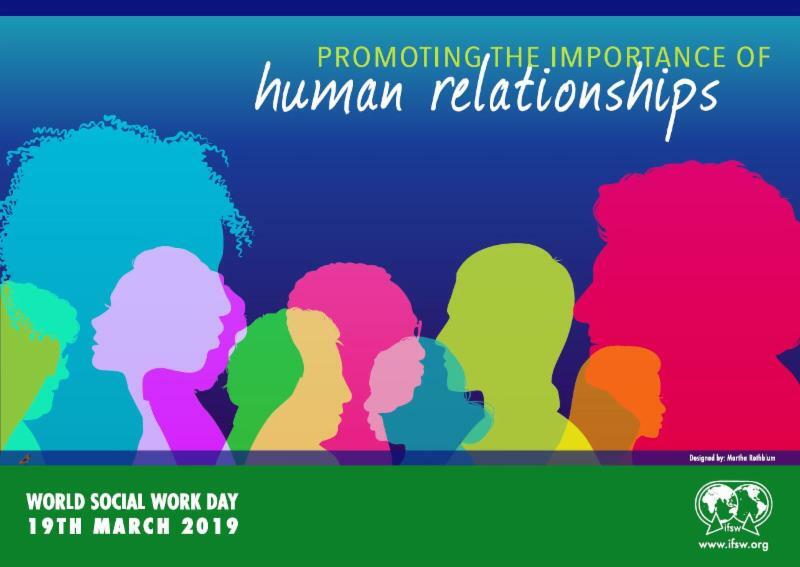 The Social Work Day event at UN Headquarters often takes place outside of Social Work Month due to space issues (like the April 1st date this year). There is no fee for attendance. 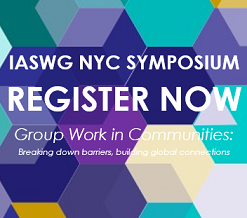 The IASWG is a supporter of Social Work Day at the UN, and encourages members to participate in person, through the live stream, or viewing the archived version of the session on UN TV. United Nations Television has archived videos from the past two years of social work events at UN Headquarters in New York and the Geneva Office of the United Nations (search for Social Work Day). National and regional bodies that focus on social work education and/or practice often hold their own social work month and day events. Learn about other events related to World Social Work Day around the world. Did you know that 650 million women and girls alive today were married as children and 12 million girls under 18 are married each year? Globally, around 21% of young womenwere married before their 18th birthday, according to UNICEF. UNICEF—now called The United Nations Children's Fund but originally known as the United Nations International Children's Emergency Fund—was founded in 1946. It was created to offer emergency food and health care to children and mothers in countries that had been devastated by World War II. I was awakened to this issue while attending the 36th Social Work Day at the United Nations on April 1, 2019. The theme for the day was “Strengthening Human Relationships: Policies and Programs to Protect Children.” I must confess that I am typically focused on what is happening closer to home, but the information presented by a panel of UN diplomats, policy officers and child protection specialists, as well as front-line social workers, was eye-opening. Although the presentations were all compelling, I was particularly interested in how the issue of child marriage manifests itself in the U.S. The facts are that, although child marriage happens mostly in sub-Saharan Africa, more than 200,000 minors (mostly girls) were married in the United States between 2000 and 2015, and not only in rural areas as is widely believed. The minimum legal age that young people are permitted to marry in most states in our country is 18, although in six states that age is as low as 14 or 15. But there are number of “loopholes,” reported social worker Bushra Husain from NYC-based Sanctuary for Families. For example, if one of the parties is pregnant or if the minor has given birth to a child, then in 47 states, marriage is permitted for children under 18. Child marriage is a violation of human rights that remains widespread despite laws against it. It can forestall their education and lead to a lifetime of suffering including high rates of domestic violence and the deaths of young adolescent girls due to more complications in pregnancy and childbirth than for women in their 20s. Furthermore, their children are more likely to be stillborn or die in the first month of life. The good news is that there is a movement toward change. In 2018, New Jersey and Delaware became the first states to outlaw marriage for anyone less than 18 years of age, with no loopholes. Andrew Malekoff is the Executive Director of North Shore Child & Family Guidance Center, which provides comprehensive mental health services for children from birth through 24 and their families. To find out more, call (516) 626-1971 or visit www.northshorechildguidance.org.